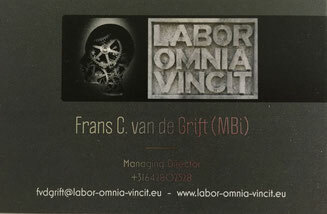 Who are we - Labor Omnia Vincit - De website van Labor Omnia Vincit! Our calling is to help our customers solve any business challenge they face. 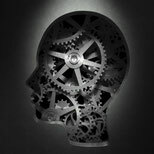 We strive for excellence in all we do and endeavor to be insightful experts that collaborate as equals. We value cooperation both within our teams as well as with our customers’ experts. Last but not least, we are an objective partner due to our independent position. Our advice is neutral and based on our unique industry insight that helps us identify the best and most viable solution for our customers. If you would like to check our expertise and the businesses we worked in- and for, please "click" the business card for our respective LinkedIn details. 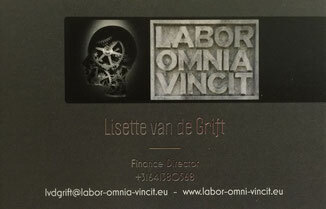 For direct contact with us, please "click" the picture on the left side of the page to email us, or call us on our mobile phones (Frans +31 642802528 GMT+1 or Lisette +31 641380568).